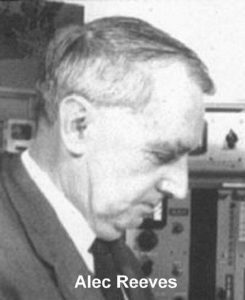 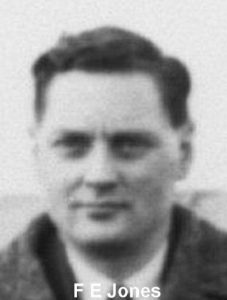 The system was joint invention of Alec Reeves and FE Jones. 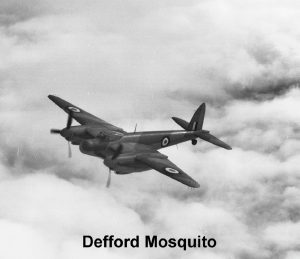 It was much more accurate than the original GEE but its limitation was that it could only control a very limited number of aircraft and was mainly used by pathfinder Mosquitos. 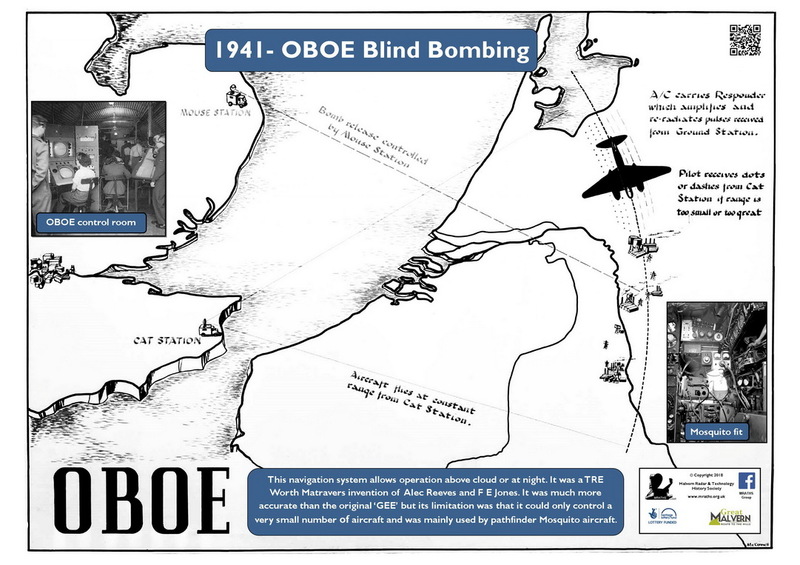 In February 1944 it was decided that Oboe coverage of Northern France and the invasion beaches was inadequate. 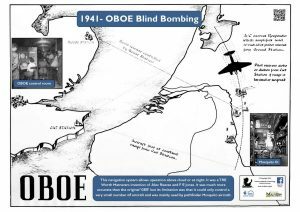 TRE was tasked to provide two systems referred to as convoys, beach of 3 trailers to cover all frequency channels, one at Beachy Head and one at Tilly Whim, near Swanage. 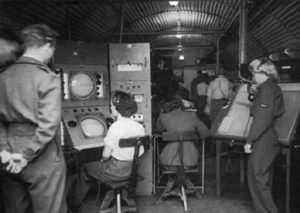 This stretched EU workshops and Group Laboratories at Malvern absorbing a considerable amount of effort, but they were in use operationally by the beginning of May in time for D Day. 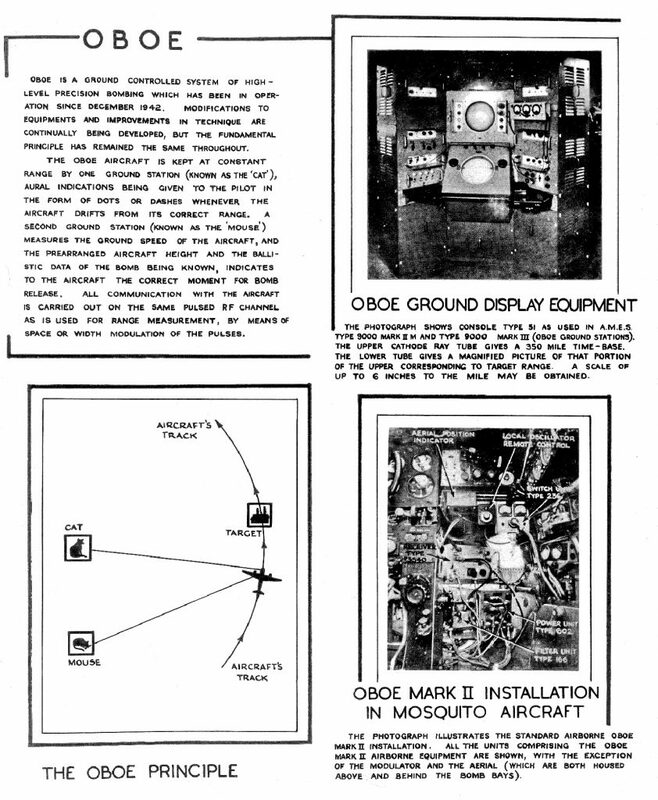 The principle of operation is described in the next image, a page taken from a 1945 TRE Report classified SECRET at the time.